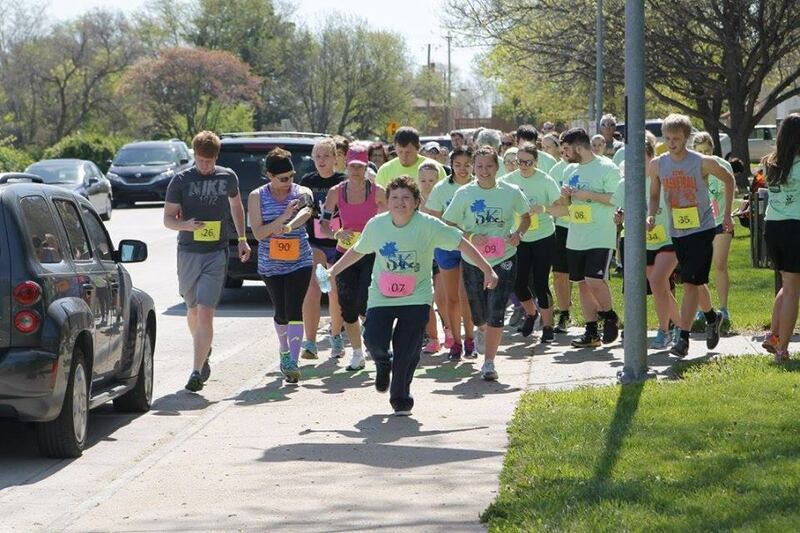 HAYS, Kan. – The 6th annual “Run/Walk to Help Children Talk” will be on Saturday, Oct. 13, hosted by Fort Hays State University’s Herndon Speech-Language-Hearing Clinic in partnership with the FHSU chapter of the National Student Speech-Language-Hearing Association. Registration begins at 8:15 a.m. in the FHSU Quad outside the Memorial Union. Participants can sign up for a one-mile walk, a 5K walk or run, or just for a t-shirt and breakfast at the event. The race route is wheelchair and stroller accessible. The race, starting at 9 a.m., helps to raise money for child scholarships for speech-language-hearing services and clinic materials at the Herndon Clinic on FHSU’s campus. “Unfortunately, not all insurances cover speech-language-hearing services or coverage is limited,” said Breanna Taylor, assistant clinical coordinator of the Herndon Clinic and an instructor in the CSD department. “Scholarships can help these children receive the services they need,” she said. Registration is $15 for FHSU students, $20 for adults and $10 for children. The early registration deadline is Oct. 1. After the early deadline, registration increases by $5. Breakfast and a t-shirt will be provided at the race for those registered. Those who cannot attend the race can still sponsor the event or donate to the cause. Sponsors can earn special rewards such as names on the back of the t-shirts. All proceeds will go towards scholarships for children’s services and clinic materials at the Herndon Clinic. For more information about the race or sponsoring the event, contact Taylor at brtaylor2@fhsu.edu or visit www.fhsu.edu/runwalk.